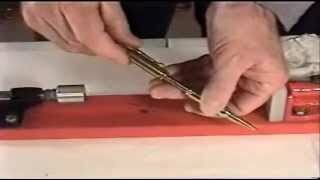 Listed below are some links to videos showing pen turning and other techniques you will find helpful. 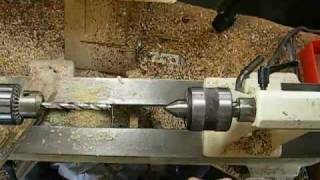 Introduction to pen turning. 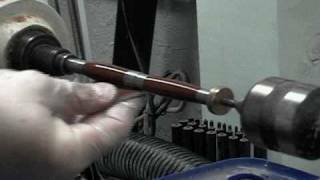 This will show you how a Slimline pen is made, and this is the most popular kit with turners today. 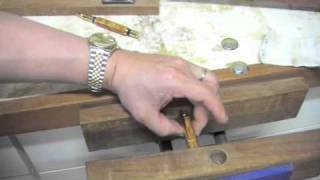 This is another video on making a 7mm Slimline Pen. This is useful because it shows a first time pen turner and the end result. 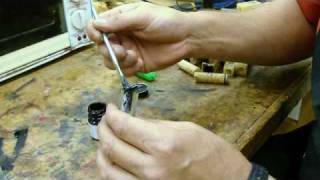 This video will show you how to tun one of the popular Fountain Pen Kits. It is also the same kit used as a rollerball, you just switch the fountain nib, for a refill. One of the simpler kits to make next to the Slimline. Turning Acrylic Blanks. Includes polishing and assembly of a Gatsby Pen. Make a Euro Style Pen also called a Designer Pen. Beautiful pen turned in acrylic. If your are not turning plastics yet, give it a try. 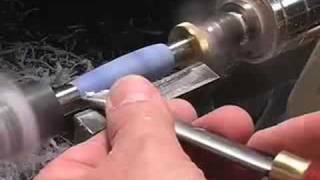 How to apply a CA (super glue) finish on your pens. CA can make a wood finish last for a long time without dulling. Use CA glue to Stabilize Punky Wood. Some woods like spalted maple, or other woods where decay has started can be tough to finish because it is so porous. This shows a way to fill the voids and make the wood usable. 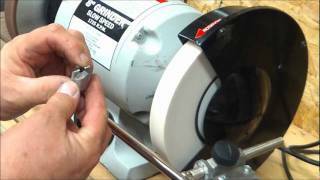 This video shows a shop made jig for sharpening your lathe tools. One method to sharpen a Barrel Trimmer. .308 double bullet pen kit. Paint the inside of your acrylic blank. Click on the photo to view video. Assembling the Aristocrat or Baron Pen Kit.